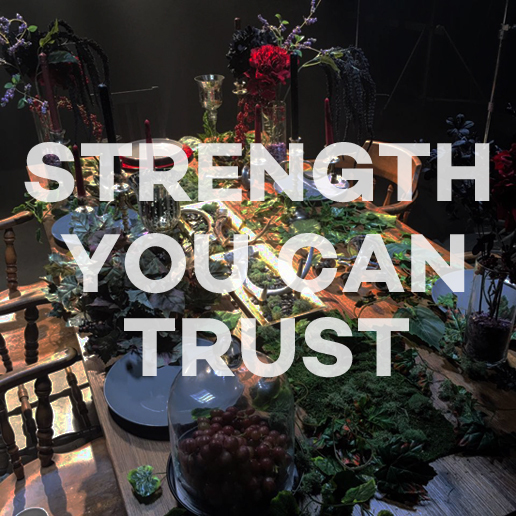 STRENGTH YOU CAN TRUST is the debut single from the album by the same name by Gulliver Giles. My role for this clip was to devise a concept that fit in with the theme of the song – the album is motivational music for entrepreneurs, set to punk-style music. I came up with a Lost Boys theme, which runs through both the shots of the musician filmed in the studio in LA, and a storyline component filmed in Melbourne. At the studio in LA I created a gothic feast set up for one scene, and worked with the DoP to create a moonlit window set for the second scene. The storyline component in Melbourne follows a group of Lost Boys who break into bleak, grey offices to break corporate drones out of their miserable lives. I sourced two locations for this shoot – and office, and an outdoor forest-look area, both within close proximity to the CBD. I designed the overall look of the Lost Boys, custom making the costumes and referencing makeup looks that our makeup artist then brought to life. I also designed both sets. I kept everything in the office black, white and grey, to contrast with the Lost Boys when they arrive. For the forest scene, I set up a table to echo the table in the LA scenes, and also decorated the large tree on set and the surrounding area to look like the Lost Boys forest home. I was also the director and producer for the Melbourne leg of the production.